"A person should not be too honest. Straight trees are cut first and honest people are victimised first." it should pretend to be venomous." "The biggest guru-mantra is: Never share your secrets with anybody. ! It will destroy you." "There is some self-interest behind every friendship. There is no Friendship without self-interests. This is a bitter truth." Will I be successful? Only when you think deeply and find satisfactory answers to these questions, go ahead." "As soon as the fear approaches near, attack and destroy it." "Once you start working on something, don't be afraid of failure and don't abandon it. People who work sincerely are the happiest." "The fragrance of flowers spreads only in the direction of the wind. But the goodness of a person spreads in all direction." "A man is great by deeds, not by birth." "Treat your kid like a darling for the first five years. For the next five years, scold them. By the time they turn sixteen, treat them like a friend. Your grown up children are your best friends." "Books are as useful to a stupid person as a mirror is useful to a blind person." "Education is the best friend. An educated person is respected everywhere. Education beats the beauty and the youth." According to research and experiments, it is known that when bloggers have the option for readers to listen to articles rather than just reading the entire post, those readers will tend to be more focused and most probably they will absorb every single content in your article. Therefore, this will increase your reader base. A new start-up created by Rutgers Business School graduate - Heath Ahrens, iSpeech is a free and powerful Web tool that enables users to convert any webpages into audio and embed the player into blogs, download it as a mp3 file into desktops or even upload it into your iPods. This easy-to-use Web tool needs no download or installation and iSpeech takes care everything. iSpeech is greatly benefitial to bloggers as it provides a simple way to voice enable any blog or other content rich webpages and hence your readers will have a long attention span. Embedding the player into your blog is simple. Go to here and punch in your webpage URL and hit enter. Copy and paste the code provided into your blog and you're done. 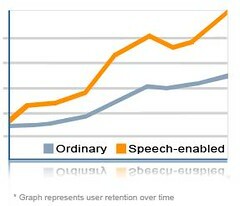 The main competitor of iSpeech is Odiogo but I personally feel that iSpeech is much better. - Listen button feature deployed in next to no time for Wordpress, Blogger, etc. Monica's mother gave her a newly opened bank saving passbook. Was a great idea and were anxious to know when the second deposit can be made. And planning to cancel the account. The money before getting divorce. They hugged and cried, putting the passbook back to the safe. All the good years in their life. Whenever you fall, don't see the place where you fell, Instead see the place from where you slipped. Life is about correcting mistakes." Dr. S. Radhakrishnan, the great philosopher and former President of India, made his first visit to the United States when John F. Kennedy was the President. The weather was dark and stormy in Washington; and when Dr. Radhakrishnan alighted from the plane, it began to rain cats and dogs, as the ex-pression goes. The young American President greeted his Indian counterpart with a warm handshake and a smile. "I'm so sorry we have such bad weather during your visit,"
The philosopher- statesman smiled. "We can't change bad things, Mr. President," he observed. "But we can change our attitude towards them." Ask nothing; want nothing in return. Ask nothing; want nothing in return. Give what you have to give; it will come back to you -- but do not think of that now. Learn that the whole of life is giving, that nature will force you to give. So, give willingly. Sooner or later you will have to give up. With clenched hands, you want to take. But nature puts a hand on your throat and makes your hands open...The moment you say, "I will not", the blow comes; you are hurt. 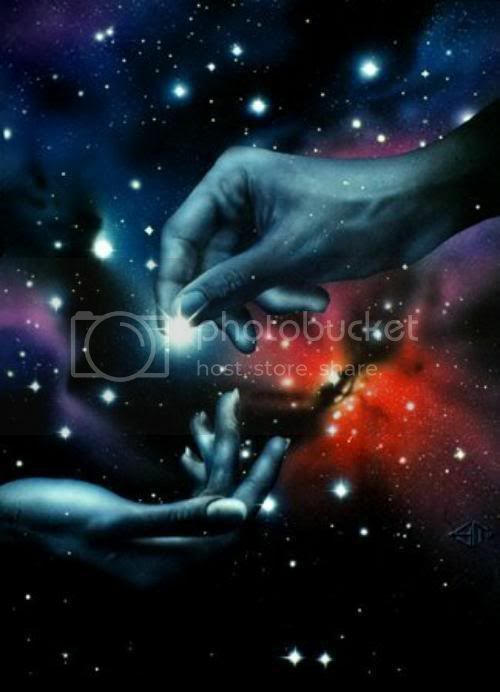 Ask, therefore, nothing in return; but the more you give, the more will come to you. Swami ji held faith in one's potential divinity as the sheet anchor of personality development. Faith in god came next only to faith in oneself. If one believes that ones' real nature is the spirit - not the body or the mind - one would be a better individual with strong character. Think Positive thoughts - Swamiji decried, in no certain terms, weakness in human beings. Positive wholesome thoughts based on our inherent divinity are essential for strong character. Go on doing good, thinking wholy thoughts continuously, thats the only way to suppress base impressions. ..Character is repeated habits and repeated habits alone can form character. Further, according to Swamiji, the only sin is to think of oneself and others as weak. Swamiji advocated upholding the ideal once again even if person failed a thousand times. He appreciated committing mistakes and learning from them rather than leading an inert existence like a wall, which cannot even tell a lie. Self-Reliance - Man is the maker of his own destiny, said swamiji : "we are responsible for what we are, we have the power to make ourselves"
KUALA LUMPUR, Malaysia—Malaysia's top Islamic body has ruled against Muslims practicing yoga. In its non-binding edict, Malaysia's National Fatwa Council says yoga has elements of Hindu religion that could corrupt Muslims. Council chairman Abdul Shukor Husin says yoga involves not just physical exercise but also includes spiritual elements. Though the council's decisions are not legally binding on Malaysia's Muslim population, many nevertheless abide by the rulings. A person was advised by a holy man to gift a vegetable a day and told that he would attain great merit by doing so. The poor man strictly followed the advice. After death, he was reborn in a royal family and grew up to become a king. He was able to recall what he had done in his past birth. So, he continued to gift a vegetable a day. Surprisingly, after death, he was reborn as a beggar. The man was unable to comprehend the reason and so sought the advice of the holy man who had earlier blessed him. From the sage, he learnt that prior to becoming a king he had been very poor and so a gift of a vegetable a day was sufficient to give him a lot of virtue. On the other hand, as a king he was endowed with affluence. So, thereafter, the gift of just a vegetable a day was quite insufficient to earn him merit of any consequence. The person realized that the extent of charity needed to earn a certain degree of merit depends upon one's financial status!! Maharishi Gautma has spoken of eight 'Atma Gunas' or personal qualities that every individual should cultivate. They help a man to enjoy mental peace and happiness. They also give rise to virtue and so their benefits are not confined to the present life. Further, if people strive to cultivate these, the world will become a happier place. The seventh ordained quality is 'Absence of niggardliness'. The tendency to hoard and not part with anything in charity is the result of greed. Lord Krishna in Bhagavad Gita has spoken of desire, anger and greed as the triple gates of hell. Hoarding will never benefit us and when we die, we cannot take our wealth with us. Neelakanta Deekshitar has humorously advised, "If you are keen that even after death you should not be parted with your wealth and that you should carry it with you in a bundle on your head then give it to the deserving". Currency notes cannot be taken to the next world. On the other hand, if a miser converts them into virtue by performing charity, he need not fear that he will lose them after death. After all, virtuewill accompany him to the next world. The scriptures prescribe the giving of gifts to the deserving as an antidote for greed. So, charity, apart from bringing about happiness in others, greatly conduces to the spiritual well being of the donor. A person who loses some money feels unhappy. But he feels happy, not sad, when he voluntarily gives the same amount to a poor student who is not in a position to pay his examination fees. Charity can thus make not only the donee happy but also the donor! Thus absence of Niggardliness is a supreme quality one must try to practise for his own evolution and also to keep others around him happy as other's blessings that comes from a true heart is a true blessing for us to have a fulfilled and contented life at every stage!! "If you can't feed a hundred people, then just feed one." - Mother Teresa. "Do not stand on a high pedestal and take 5 cents in your hand and say, "here, my poor man", but be grateful that the poor man is there, so by making a gift to him you are able to help yourself. It is not the reciever that is blessed, but it is the giver. Be thankful that you are allowed to exercise your power of benevolence and mercy in the world, and thus become pure and perfect." - Swami.Vivekananda. "Giving is most blessed and most acceptable when the donor remains completely anonymous" - Anonymous. subjects covered affect us all on a daily basis. That when you're in love, it shows. peaceful feelings in the world. That being kind is more important than being right. That you should never say no to a gift from a child. help him in some other way. a friend to act goofy with. I was a child did wonders for me as an adult. end, the faster it goes. That we should be glad God doesn't give us everything we ask for. That money doesn't buy class. That it's those small daily happenings that make life so spectacular. That to ignore the facts does not change the facts. person continue to hurt you. That love, not time, heals all wounds. with people smarter than I am. That everyone you meet deserves to be greeted with a smile. That no one is perfect until you fall in love with them. That life is tough, but I'm tougher. That opportunities are never lost; someone will take the ones you miss. That when you harbor bitterness, happiness will dock elsewhere..
he may have to eat them. That a smile is an inexpensive way to improve your looks. little fist, that you're hooked for life. happiness and growth occurs while you're climbing it. That the less time I have to work with, the more things I get done. Pleasure is not the goal.